The feature is now live. 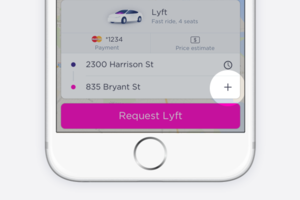 Lyft, also known as the second most popular ridesharing service, announced today that they will be introducing the ability to add an extra stop to rides. This feature, which main competitor Uber does not currently offer, allows riders to add an additional destination prior to setting their pickup location in the app. The addition of this feature means that riders will no longer have to request multiple rides or ask their driver to wait if they’re picking someone/something up. Routes will be instantly updated when a destination is added. Some examples Lyft gives of using this new function include picking up a friend, grabbing a bottle of wine, getting a cup of java, and picking up your dry cleaning. If you no longer need to stop at your added destination, Lyft will allow you to remove it at any time. So if a friend cancels on you, you won’t be forced to awkwardly visit his house anyway. 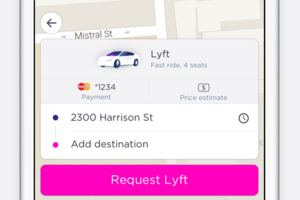 Adding an extra stop will be available with all tiers of Lyft (Lyft, Plus, and the recently-announced UberLUX competitor Premier). The San Francisco-based company has not given any indication of exactly when this ability will be rolled out, only saying that it is “coming soon”.